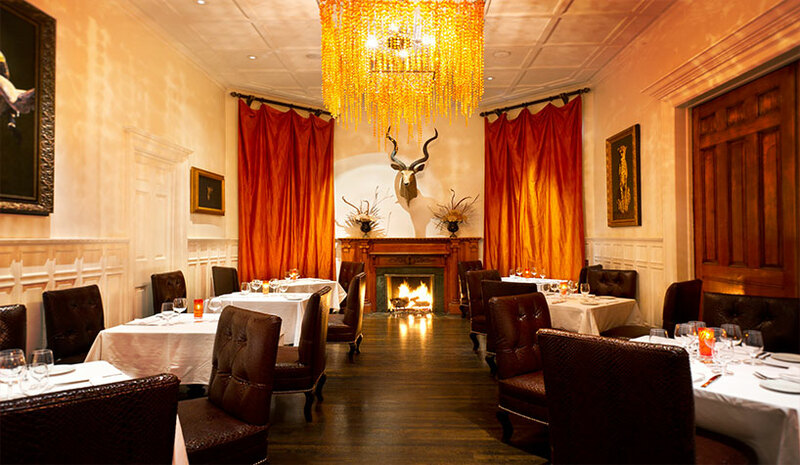 Autumn F&B beckons at Mansion on Forsyth Park’s 700 Drayton Restaurant. NEW YORK—As autumn approaches, guests normally look to have a heartier F&B experience as they slide into their seats at their favorite hotel restaurant or café. Presenting new and exciting dishes as the seasons change is always part of the mix for hoteliers who offer sustenance and are always on the lookout for the culinary experts who can bring au curant offerings to the table—literally—and provide new methods of service. For example, The Kessler Collection has welcomed four new executive chefs, tasked with creating innovative dishes that reflect local and sustainable ingredients, as well as artisanal touches. Chef Mark Santiago will be joining the Mansion on Forsyth Park’s 700 Drayton Restaurant in Savannah, GA, where the restaurant, lounge and private dining rooms deliver edgy Savannah coastal cuisine. In addition, Chef Heyward Davis, who has been sous chef at Grand Bohemian Hotel Charleston, is now executive chef at Bohemian Hotel Savannah Riverfront, where he’s looking to elevate the menu of Southern contemporary dishes. Chef Edwin Martinez is now at Bohemian Hotel Celebration in Celebration, FL, as executive chef of Lakeside Bar and Grill, which offers a wide range of American cuisine. And the Casa Monica Resort and Spa in St. Augustine is welcoming Chef John Botkin at Costa Brava, where the forte is meze-style dishes and handcrafted cocktails. Keeping things fresh is always a priority with hotel F&B, and at the Gaylord National Resort and Convention Center they take it big time. The 1,996-room resort located in National Harbor, MD, operates three full-service restaurants, mobile and stationary bars and a banquets kitchen that can serve up to 20,000 guests 365 days a year, according to the company. Beginning this autumn, the property’s chefs are going a step farther by growing and producing foods in-house. Similar to initiatives by Fairmont Hotels & Resorts and Hilton, in August Gaylord National acquired four Langstroth beehives to harvest its own honey on the resort’s rooftop. The hives will house 10,000 to 12,000 bees per hive when fully active with hopes of producing 120 pounds of honey by next spring’s harvest to use in various food and beverage offerings. The honeybees also will help pollinate a new chef’s garden in the spring, where the culinary team expects to plant everything from herbs to tomatoes to flower plants, including blueberries and strawberries, to help the bees thrive and have produce steps from its kitchen. Additional culinary and beverage programs that the resort will introduce this autumn include juices, barbeque and dehydrated fruits and meats.